Technically we weren’t crashing, but we just couldn’t resist the pun. Country crooner Luke Bryan recently invited us on the set of his “Crash My Party” music video to chat about his fourth upcoming studio album. Now we only have to wait 36 days until it debuts on Aug. 13 (pre-order on Target.com now). The new album also features the project’s lead No. 1 single, “Crash My Party,” which has topped the Billboard radio chart two weeks in a row. 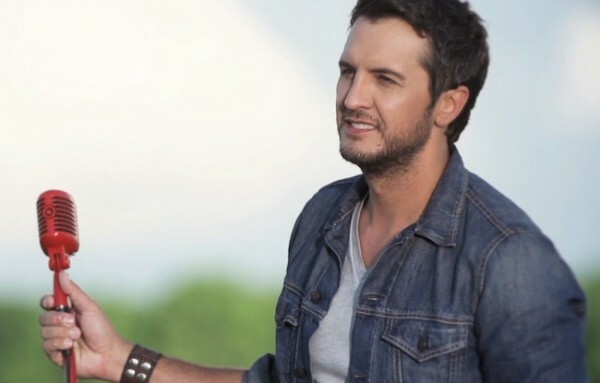 Luke had a huge hand in creating the romantic concept and plot for the video, which features a cute cameo by his wife, Caroline Bryan. She’s the woman fans can thank for all those quintessential country love songs. Below, we talk to Luke about his exclusive Target album and what it was like working with his longtime love on camera for the first time. What was it like interacting with Caroline on camera for the first time? It was really neat interacting with each other on camera and re-cutting the scenes–we had a great time! It just felt right for her to be there, and fit so perfectly with the song. Now we have some really gorgeous pictures from the shoot, so I’m excited to have those to hang around the house too. Can you tell us a little bit about the Target deluxe edition of the album? I’ll tell you it’s stressful to select the songs! When you’re building an album you try to make the songs work together as a whole, but we also wanted to save a few special songs for the Target edition. My producer and I thought one of my favorite songs from the album, “What Is It With You,” would be perfect for Target. Honestly, I’m just so proud of all the songs on the album, and happy to give fans four more on the Target edition. The songs are like 17 of my children—I love each and every one of them. So what would we find in your Target shopping cart? My wife and I were actually at Target yesterday, and we bought our youngest son a Lightning McQueen bicycle and an Angry Birds helmet. He loves it!